Sophie Radcliffe is a adventurer fuelled by her philosophy ‘one life live it’. 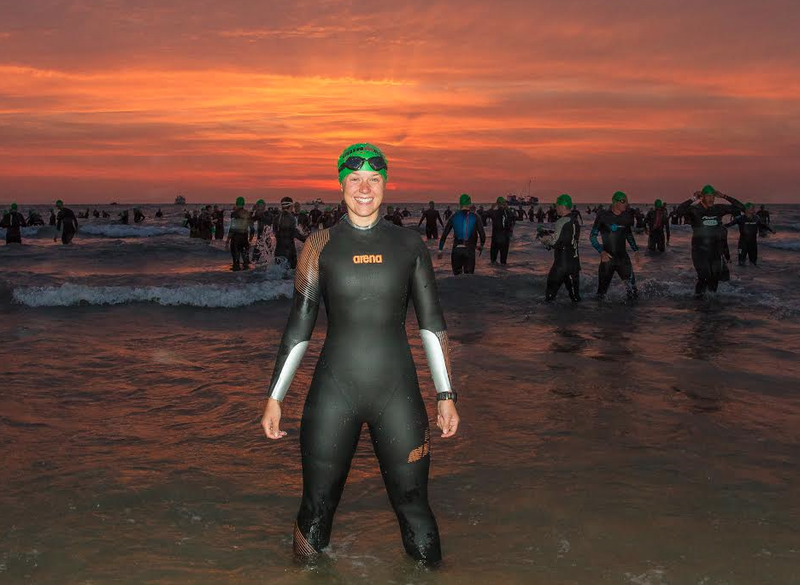 This photo shows her at a beautiful dawn on the start line of Ironman Tenby, Wales which she conquered in 2014 for the second time. Her race required her to swim in the sea for 2.4 miles in high waves and strong tides. “Mayhem doesn’t quite cover it – it was brutal,” she said. (c) Triathlove 2016 | Share your swimming story.